On 4 November, Year 11 pupils from around the country came to Oxford as part of the Pathways Programme. The day involved talks, tours, and take-home pamphlets. At Keble, 95 students and their teachers gathered to take taster sessions in the humanities, and the physical, life, and social sciences. D.Phil.s in English, Statistics, Ecology, and International Relations took to the floor to show what their subjects had to offer. 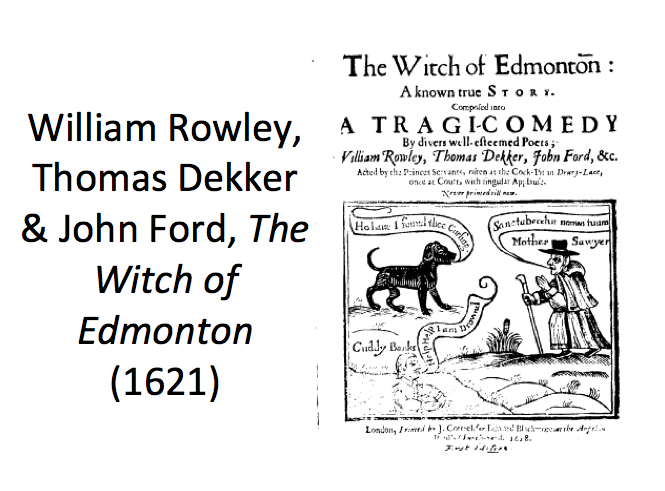 In honour of Halloween—and to put forward the case for both English and History—my talk investigated Elizabeth Sawyer, historical ‘witch’ and protagonist of the 1621 tragicomedy The Witch of Edmonton. I asked students to reflect on the nuance that literary analysis can bring to historical study, and how it opens up the subtleties of a past we might want to homogenize. Statistician and schools liaison officer Mareli Augustyn discussed chance and randomness. She warning against the lottery, and showed how it really is quite likely that an iPod set to shuffle will play songs by the same artist back-to-back. Harriet Downey then wooed pupils to Ecology with her research into tropical rainforests before James Shires discussed issues of ‘security’. International politics is performative, he argued, and school lunches could easily be ‘a security issue’, if only someone instated the sandwich police to prevent the rioting of hungry pupils. Sitting in the humanities corner, I was a little nervous—but, as it turned out, without cause. We discussed the broad career options for the different degrees as well as the relationships between disciplines. Presenters had come from different undergraduate courses and institutions, with time out of education and a variety of career experiences, demonstrating that all degrees open doors. Uniformly, the panel presented a successful degree as one undertaken with genuine interest.